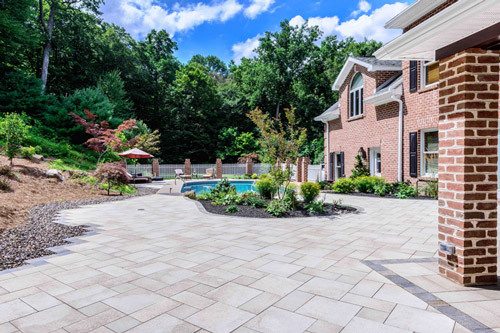 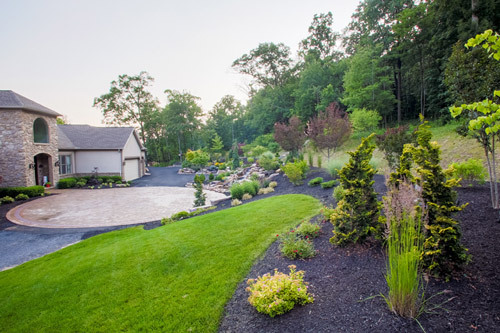 Landscaping Projects in New Cumberland PA & Mechanicsburg PA | PA Landscape Group, Inc. Landscaping Projects in New Cumberland PA & Mechanicsburg PA | PA Landscape Group, Inc.
Patios, Walks, Steps and Walls made from a variety of materials. 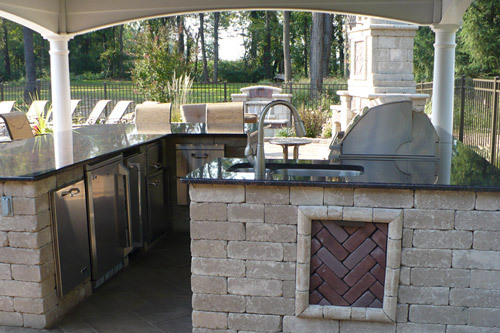 We can help with Fire Features, Lighting, Outdoor Kitchens, Outdoor Structures and Water Features. 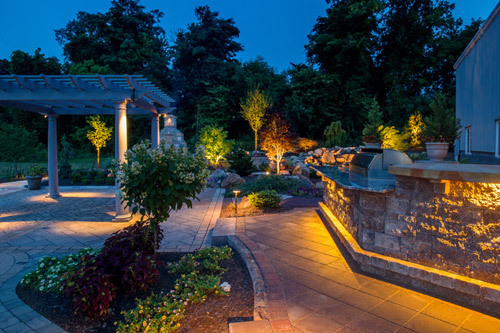 Low Voltage outdoor lighting for enhancement, safety, and security. 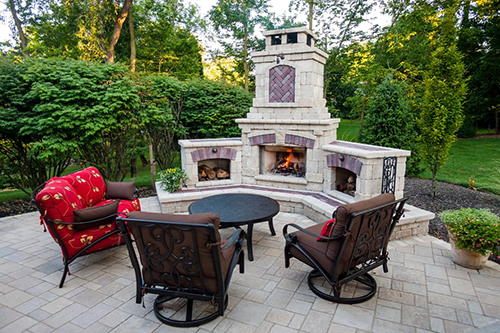 Wood, gas or gas assisted fireplaces and fire rings. 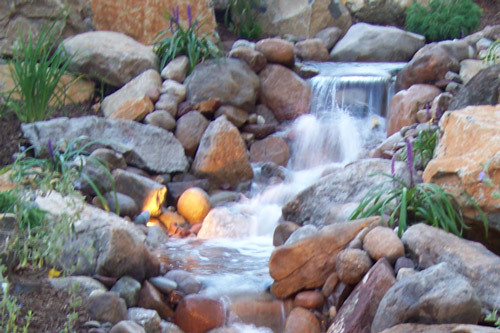 Flowing water from ponds, waterfalls, and fountains. 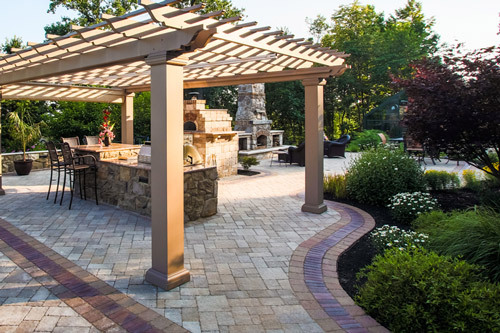 From pergolas to pavilions and everything in between. 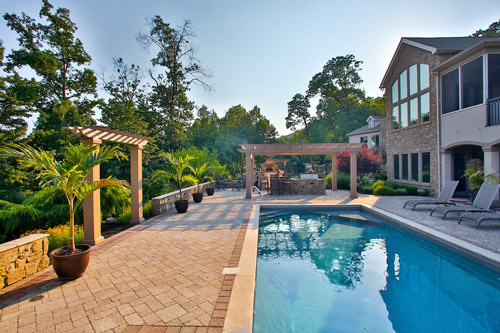 Custom or standard, big or small, we can help make any pool project a success.